Last spring, many of us were concerned that funding issues were driving the design process so that the new library would look like a box store. Punta Gorda is known for its historic areas so we wanted a design that was not only functional but attractive. 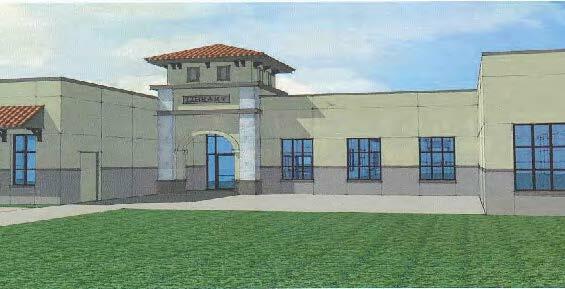 This summer, the Friends of the Punta Gorda Library, The City of Punta Gorda and Charlotte County came together and each made a financial commitment to the additional funding needed to fund an enhanced and functional exterior for the new library. While these architectural renderings are not the final exterior design, they do provide a look at how appealing the new library will be. Successful groundbreaking for the new library!